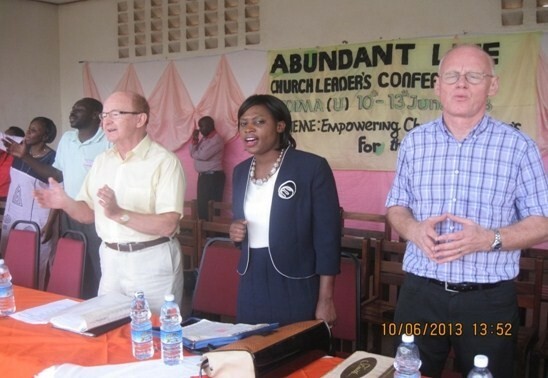 Abundant Life International Ministries (ALIM) believe that God has called them to equip the Church of Christ in Uganda to ensure that it gets rooted in deep Biblical teaching and truth as it matures and grows. The purpose of carrying out these conferences in Masindi and Hoima was to equip the Church leaders with biblical truth to enable them take charge of the challenges of the 21st Century. One of the challenges that the church is currently facing is the immorality that is fueled by the “prosperity gospel” or theology. This concept appeals to the poor and the displaced in that it offers instant deliverance in the form of material wealth as opposed to salvation. It has been observed that some church leaders charge money for a handshake, and one has to pay more if he or she wants them to pray for him or her. Some leaders ask members to give up their jewellery and other precious possessions to the church in exchange for a blessing. However, prosperity gospel is arguably a form of ‘bribing’ God in exchange for salvation and yet as Christians we are called to “work out our salvation with fear and trembling. 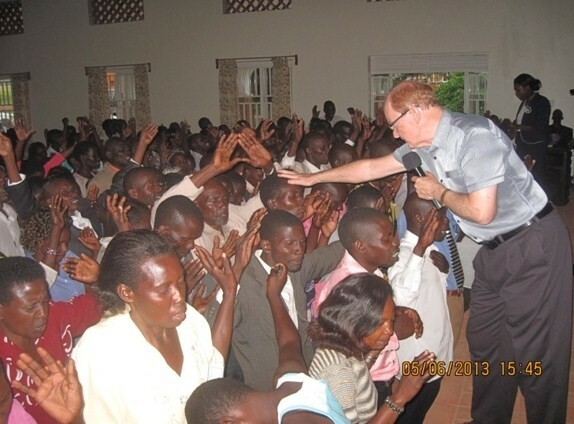 The ALIM team under the leadership of Pastor Ernest Howie (NI) in company with Pastor Mike Smith from New Life Church of Stowmarket/Suffolk England held a conference in the district of Masindi (5th to 8th June 2013) and Hoima from 10th to 13th June 2013. 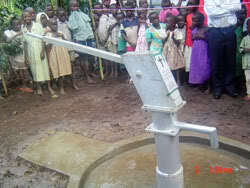 The two towns are all located in the Mid-western part of Uganda. 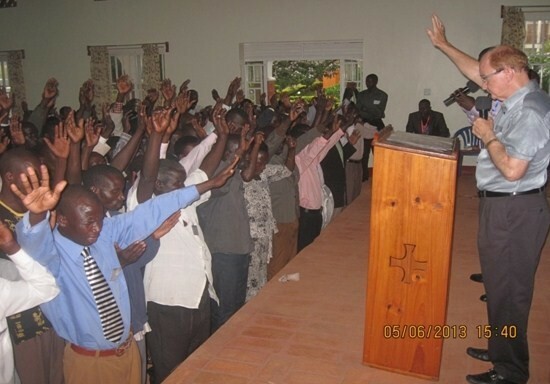 The conferences were both coordinated by Samuel Sombi, the ministry coordinator for crusades and conferences with the assistance of Pastor Jackson Nyakonjo the Chairman Masindi Pastor’s Fellowship and Pastor Sam Muhumuza, the Chairperson Hoima Pastors’ Fellowship. The two Pastors coordinated the activities ranging from chairing the organizing committee meetings, to overseeing the entire programme during the conference. 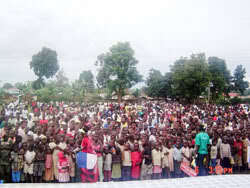 The conference average attendance was 800 in Masindi and 500 participants in Hoima. The conference in Masindi was held in Town Hotel Masindi main hall and Kolpings Hotel gardens in Hoima. Conferences in each district started at 9.00am and ended at 5.00pm with praise and worship interludes and a Lunch break between 1:00 -2:30pm. In both conferences, the attendance list was filled on a daily basis by all participants to enable effective planning for meals, seats to be hired and accommodation to be arranged. Time was well managed as session leaders were always in control. This gave enough time for the teachings but also provided adequate and well-spaced relaxation intervals. The conferences were both residential for participants from far towns and communities, and those who live nearby commuted. 200 delegates were residents in Masindi and 150 in Hoima respectively. Meals were provided for all the participants. The conference officials hired the catering services that prepared and served the meals. The effectiveness of the teachings was measured by the level of commitment that the participants exhibited by attending sessions all through the 4 days of each conference. 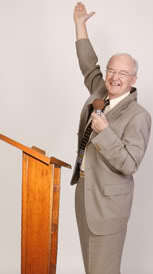 All teaching messages were recorded and were given to the participants after the conference. This was to enable them continue to listen, meditate and practice what has been learnt and to share with their congregations. Leaders and Pastors were encouraged to Walk in the fear of the Lord, be people of integrity, live by the Word, operate in the power of the Holy Spirit, and to live by revelation knowledge rather than sense knowledge. Other messages were prophesy, Jesus the link between the Church and the Father, Body Soul and Spirit and the power of Christianity. Living by this truth would enable the church of Christ to stand out against falsehood. The teachings also emphasized the role of marriage and family life as a foundation for a strong and effective Church in the 21st Century. The teachers of the word through research identified some cultural practices and traditions that keep the church in sin and called for a transformation that comes through the renewal of mind as indicated in Romans 12:2. 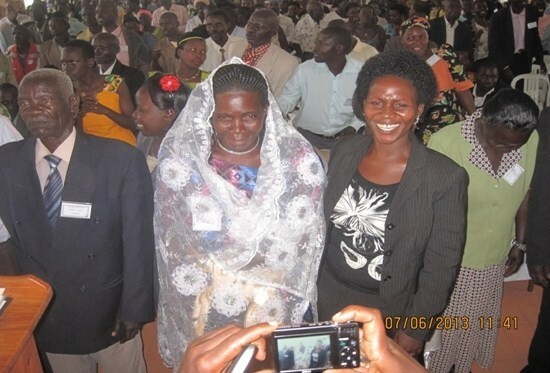 At the end of the session, 14 couples were wedded in in the sight of God and their marriages sanctified, 5 in Masindi and 9 in Hoimarespectively. 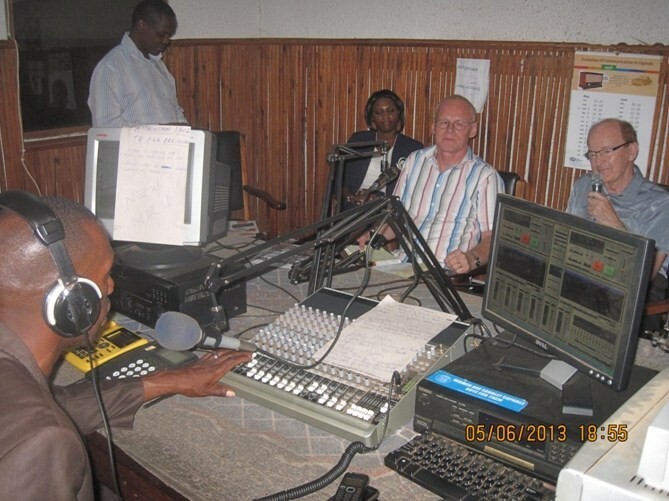 Pastor Ernest and Mike Smith had an opportunity to minister on radio in Masindi. According to the presenter, the radio coverage is more than 5 districts and the audience was in millions. These claims were partly confirmed by the many calls that were received by the listeners who called in for prayer, to be born again and others to appreciate the message. 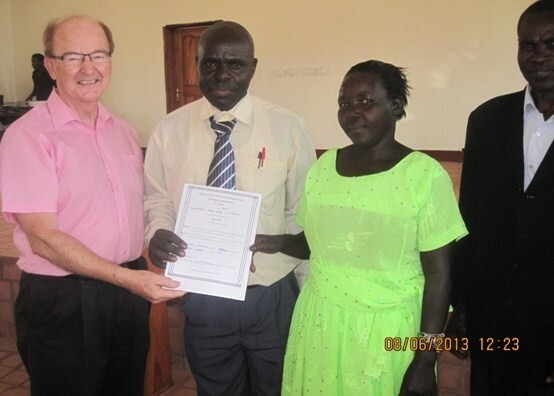 Radio broadcasting is one of the major avenues for spreading the good news of the saving power of Jesus Christ in Uganda, as many people; particularly those in the rural area have access to the radio because it is affordable.